You would have dreamt of it since you were a little girl - looking your most radiant and beautiful in the wedding gown of your dreams on that special day. 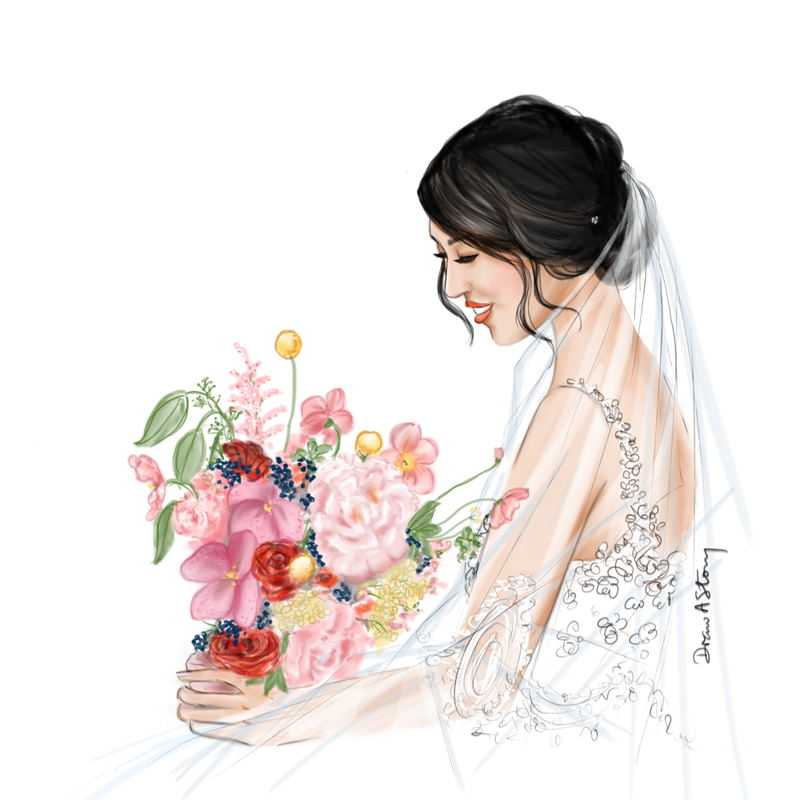 To make it even more special, capture that moment in an expressive artwork by having a custom bridal or wedding illustration done. The bridal illustration can also be incorporated into the design of your wedding stationery for that unique touch. Or have it displayed at your wedding event to be admired. Then frame it up as a treasured keepsake to remember all the love around you on your special day.